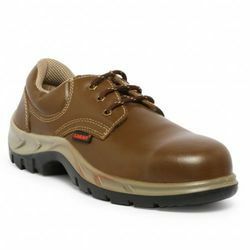 Providing you the best range of acme safety shoes, brown safety shoes, safety shoes, tiger safety shoes, rockland safety shoes and karam safety shoes with effective & timely delivery. Material Upper black buff leather. Steel toe, cambrelle lininig. Features Electrical shock proof, impact resistance, slip resistance. Temp resistance 120 cle. Application Most of the industries, construction sites, mines ext,. 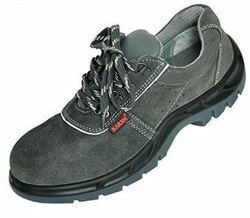 With our rich industry experience, we are engaged in offering an extensive assortment of Karam Brown Safety Shoes. These shoes are precisely designed from the best quality leather as well ultra-modern techniques by adept professionals at vendors’ end. 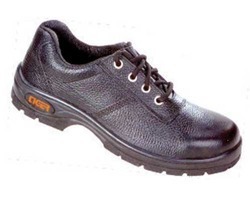 Our offered shoes give maximum safety and comfort to the wearer due to their sturdy design and impeccable finish. The provided shoes are rigorously tested against diverse quality parameters to ensure their quality. Note Available against order minimum 20 Pairs. 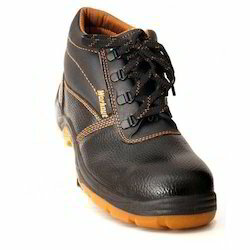 Material PU Sole Upper layer made from grain leather Steel toe. Features Double color duel density anti sweat extra padding cushion. Application Most of the industries construction site work. 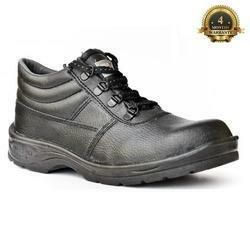 With our rich industry experience, we are engaged in offering an extensive assortment of Brown Safety Shoes. 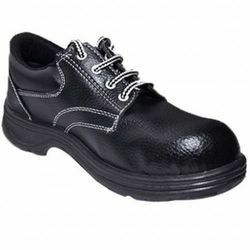 These shoes are precisely designed from the best quality leather as well ultra-modern techniques by adept professionals at vendors’ end. 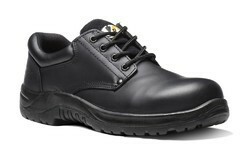 Our offered shoes give maximum safety and comfort to the wearer due to their sturdy design and impeccable finish. The provided shoes are rigorously tested against diverse quality parameters to ensure their quality. 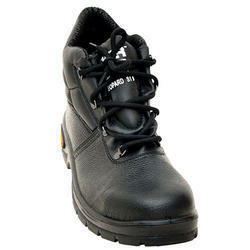 With our rich industry experience, we are engaged in offering an extensive assortment of Acme Brown Safety Shoes. These shoes are precisely designed from the best quality leather as well ultra-modern techniques by adept professionals at vendors’ end. 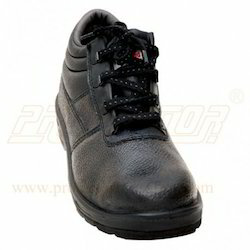 Our offered shoes give maximum safety and comfort to the wearer due to their sturdy design and impeccable finish. The provided shoes are rigorously tested against diverse quality parameters to ensure their quality. 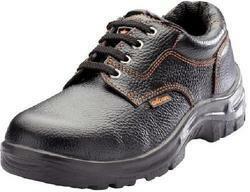 With our rich industry experience, we are engaged in offering an extensive assortment of Metro Brown Safety Shoes. These shoes are precisely designed from the best quality leather as well ultra-modern techniques by adept professionals at vendors’ end. Our offered shoes give maximum safety and comfort to the wearer due to their sturdy design and impeccable finish. The provided shoes are rigorously tested against diverse quality parameters to ensure their quality. 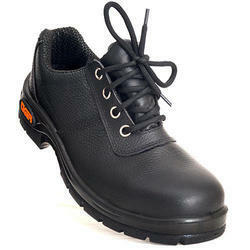 We are an eminent entity engaged in offering an extensive range of Tiger Safety Shoes. Under the surveillance of deft professionals, the offered shoes are designed making use of the finest grade material and contemporary techniques at vendors' end. The provided shoes have strong sole and perfect balancing ability. Owing to their high durability and fine finish, these shoes are highly applauded in the market. Moreover, patrons can buy these shoes from us at market leading prices. Material Upper barton grain leather. 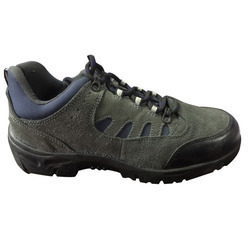 Outsole single density PU with steel toe cap. Features Low ankle. Foam padded, black color lining. Footbed removable polyamide on EVA. Approval EN 20345, IS 15298, DGMS. 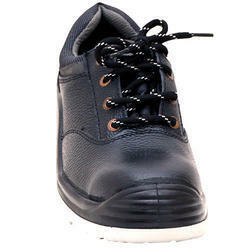 Material PU Sole upper layer made from soft leather, steel toe, inside lining also black. 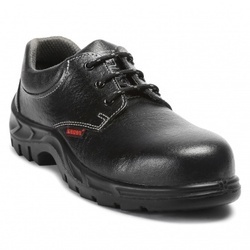 We are one of the leading traders & suppliers of Hillson Safety Shoes. 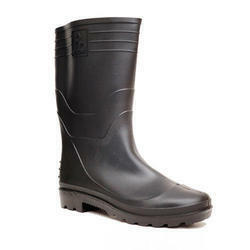 We are one of the leading traders & suppliers of Hillson PVC Gum Boot. We are one of the leading traders & suppliers of PVC Sole Workout Hillson Shoes. he safety of Polyester Web Slings, increase with the use of reinforced eyes at both ends. 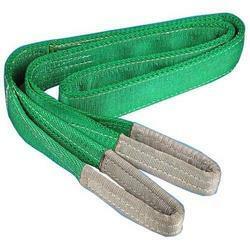 They have a superior strength owing to 100% density polyester and a flat structure. The flat design reduces the tension and spreads the stress while lifting objects. It comes with varying lengths and widths to fit into multiple usages. Our product goes through superior quality checks to ensure reliability.We are reckoned as a leading organization engaged in trading, exporting, and supplying large array of Crane Accessories including Webbing Slings. These are one of the most commonly used material handling accessories in diverse industrial applications. It facilitates an added toughness for loading operations. These are manufactured by using the highest grades of metal alloys and other raw materials and are tested for quality on different standard parameters. These are available in different specifications for our patrons. Features Low density PU midsole hidensity PU outsole. Abrasive, heat oil slip resistance. 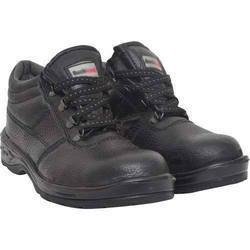 We have specialization in offering a wide assortment of Tiger High Ankle Safety Shoes Known for high durability and thermal resistant, these shoes are very popular among our clients. 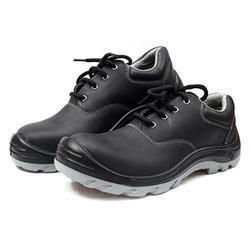 These high ankle shoes with steel toe cap are suitable to wear for engineering, construction, and chemical industries. Our offered products are procured from trusted vendors, thus ensuring leather quality and hard sole material. 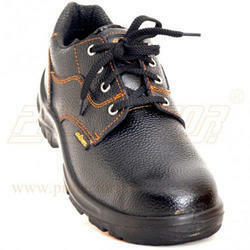 These shoes are available with us in different sizes for diverse needs of customers. Approval IS 15294, EN 20345, DGMS. 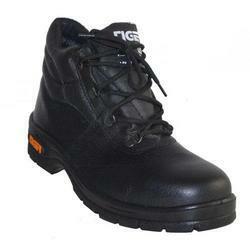 We are an eminent entity engaged in offering an extensive range of Tiger Safety Shoes. Under the surveillance of deft professionals, the offered shoes are designed making use of the finest grade material and contemporary techniques at vendors’ end. The provided shoes have strong sole and perfect balancing ability. Owing to their high durability and fine finish, these shoes are highly applauded in the market. Moreover, patrons can buy these shoes from us at market leading prices.